Guidance wheel for the hauling line. Made of plastic enforced nylon which withstands a lot of abrasion. 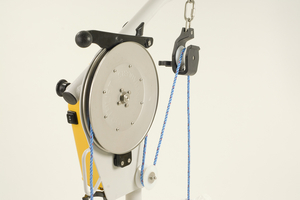 The guidance wheel fits all NorthLift electric haulers. Diameter 75 mm.